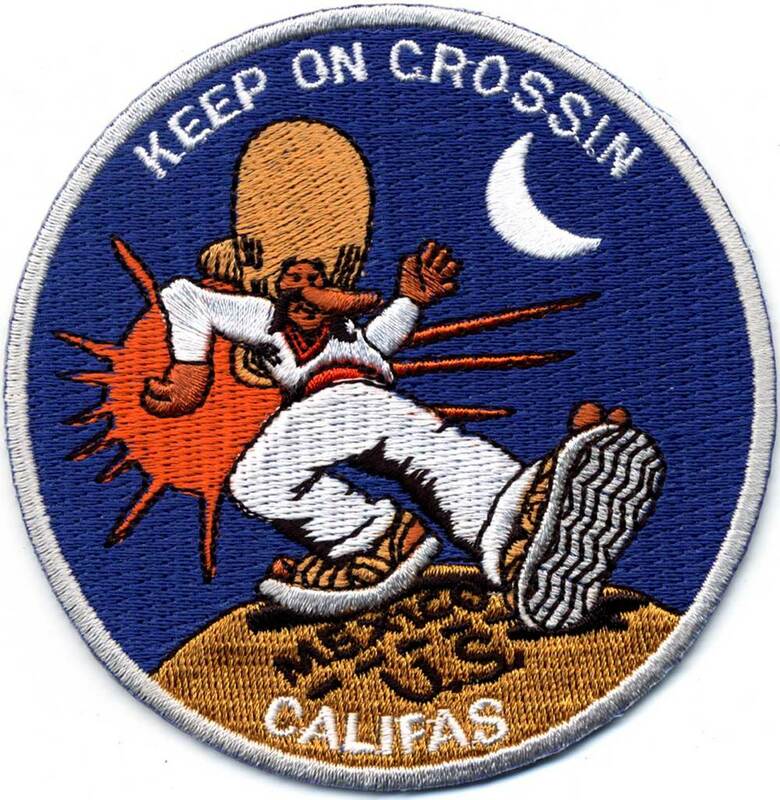 Keep on Crossin' is a border art project created by Perry Vasquez and Victor Payan in response to a call for entries for the 2002 California State Quarter competition. 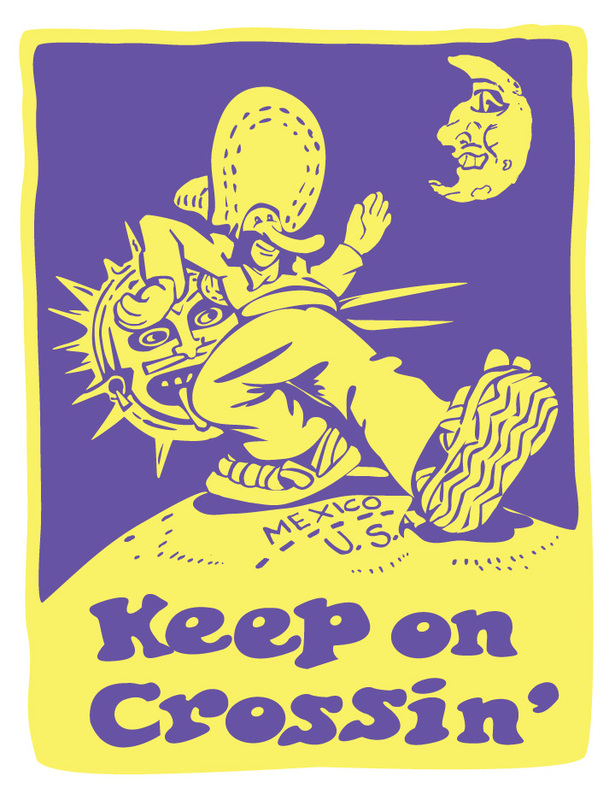 The two artists appropriated the “Keep on Truckin’” image and slogan created by Robert Crumb, an icon of mid-twentieth century counter-culture, and turned it into a populist battle cry for immigrant rights. 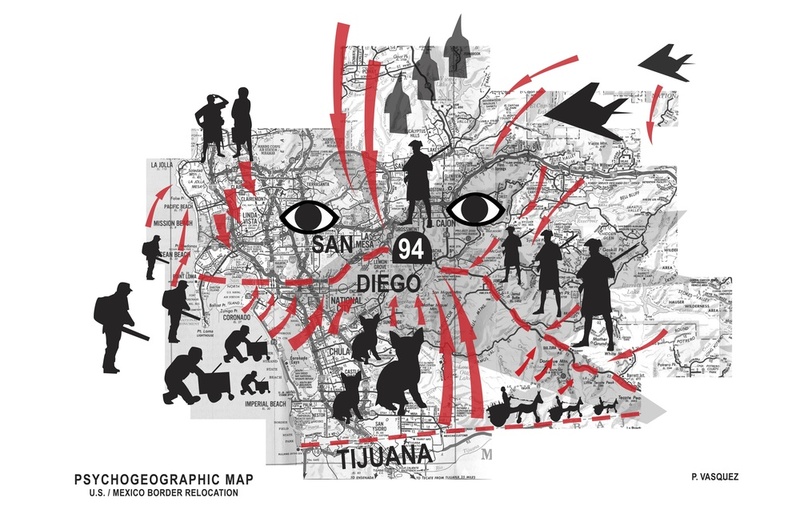 It underscores the two-way nature of cultural exchange between the neighboring countries. 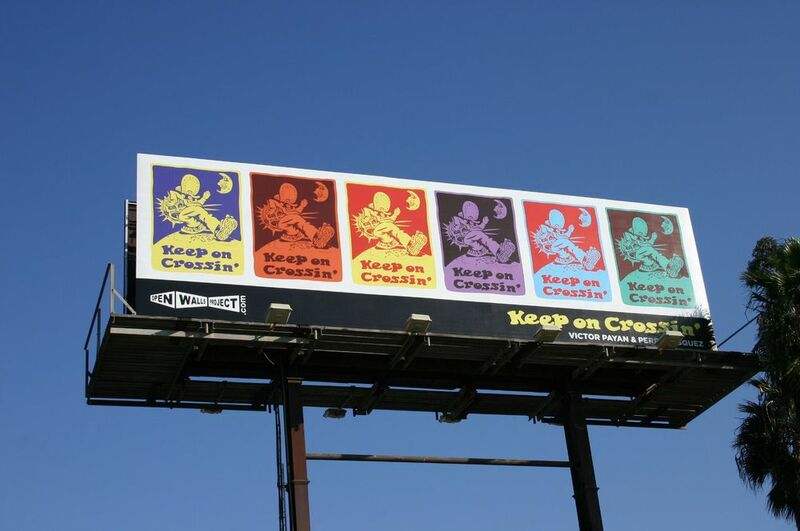 The Keep on Crossin’ Manifesto proclaims the right of immigrants to “cross borders of political, social, linguistic, cultural, economic and technological construction.” Its inspiring rhetoric places it squarely in the tradition of the American Civil Rights movements while making references to Martin Luther King, Albert Einstein and other idealistic and universalist documents like the Prague Manifesto for Esperanto.